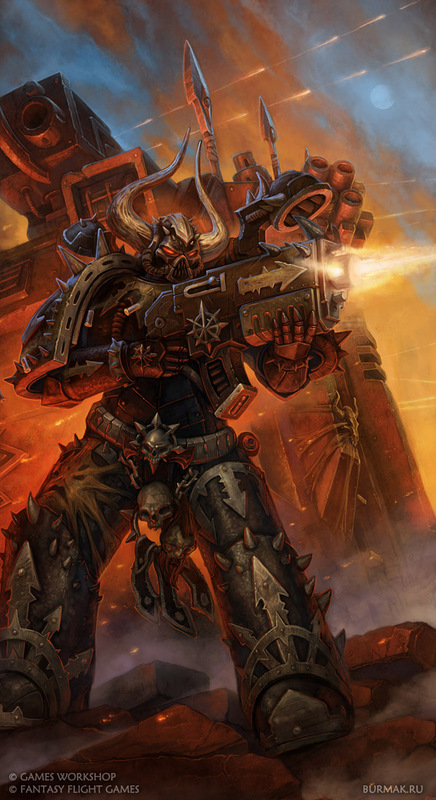 Combat: Chaos space marines are engines of destruction. Spray: They may inflict 3 damage to any creatures within Short range. Use: A chaos space marine has been guarding an ancient ziggurat dedicated to Khorne for nearly 2 millennia. The characters have been told the ziggurat houses untold treasures. Loot: A dead chaos space marine yields 1d2 artifacts.